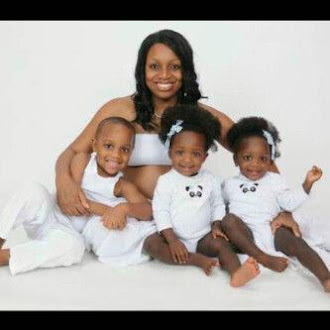 Sensational Nigerian singer, Chukwudi Ken Agali, popularly known as Chuddy K has welcome a set of twins with his lovely wife, Rachael. 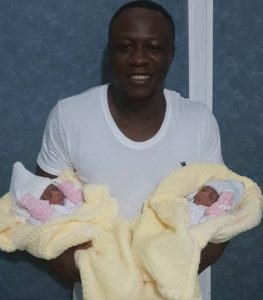 The singer took to his instagram page to share the good news while he posted the photo above with the caption: "Overwhelming with joy..if any one told me I was gn be baba beji I would have said its a lie…my angels are here"
Chuddy K as fondly called got married to his sweetheart in October 2015 and they both had a daughter in 2016. The singer is known for his hit single Go Gaga which recieved massive airplays around the country.